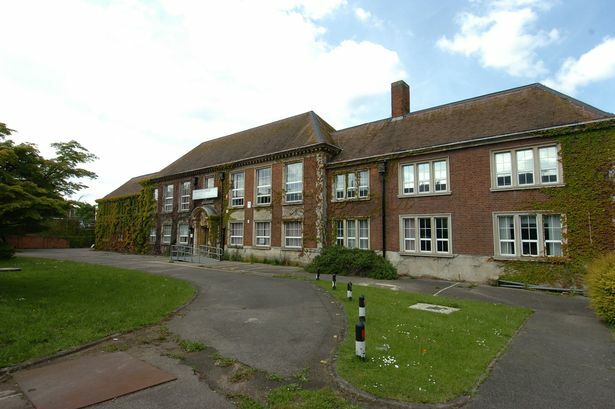 Plans to move Brooklands College to the grounds of a neighbouring Ashford school, securing its future in the town, have been approved. Spelthorne councillors voted unanimously to agree the college application to create a new two-storey building and sports hall on the Thomas Knyvett College site in Stanwell Road. A multi-use games area on the school site will be moved and rebuilt to make way for the building. The application was submitted by Brooklands as part of an agreement with Thomas Knyvett, part of the Howard Partnership Trust, to jointly provide educational facilities on the site. Most of the college will be moved over, although a hair training salon will remain at the college site, forming part of any future redevelopment proposal there. Earlier this year Spelthorne Borough Council submitted a bid to buy the Brooklands College site, after the cabinet agreed it was a ‘once in a lifetime opportunity’. Speaking at Wednesday’s planning meeting Louise Dudley, vice principal at Brooklands, said the plans were of ‘vital importance to the future of Brooklands College in Ashford’. “Brooklands have been looking for options over the past few years to bring forward plans on the existing site, only for the plans to fall through at the later stages,” she said, adding that students had been forced to be based in temporary cabins for the past seven years. Mrs Dudley said this application had been made possible due to their success with gaining Enterprise M3 funding as well as the new ‘working relationship’ with the Howard Partnership Trust. “We are finally in a position where we have the funding we need and the partnership to bring the plans forward,” she said. Very special circumstances’ had to be displayed by the application due to its location in the green belt. But Spelthorne officials said the land would be suitable due to a historically low level of educational attainment in the borough, the highest number of 16-24 year olds out of work in the county, an improving trend of success at the college, as well as providing much-needed gym facilities at the school. The report added: “Given the size of the new building and the location of the replacement means the scheme would lead to some additional visual harm, even though landscaping is proposed. Cllr Chris Frazer said the plans were not only of vital importance for the college, but to the community too. Some concerns about parking were raised by Cllr Robin Sider, who was worried about parking on pavements in neighbouring roads. According to a report, no parking is provided for students, meaning they would rely on street parking in neighbouring roads. But head of planning John Brooks said although there was an issue with parking, it was not considered a problem. The proposed development would provide 61 parking spaces, the same number of spaces as the existing parking layout for this part of the site.